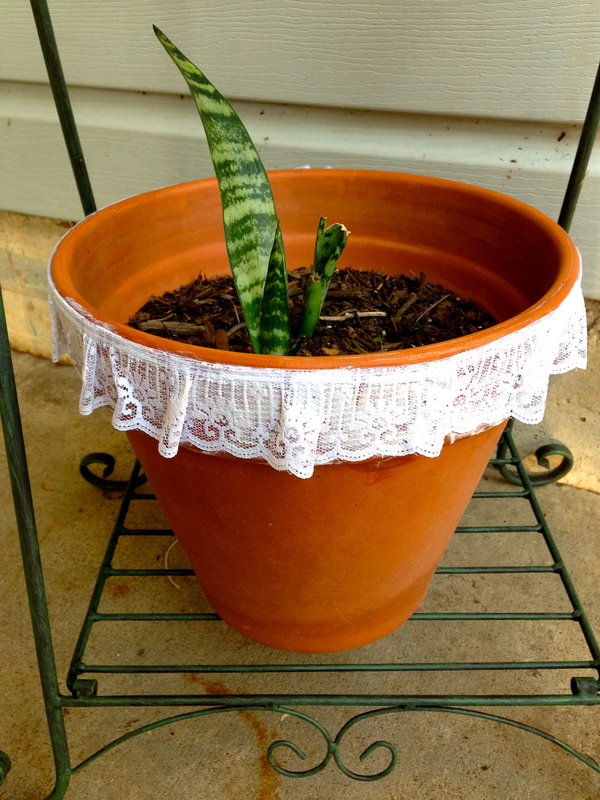 SO I saw this picture online of some cute ribbon glued to a pot. And thought, “well why didn’t I think of that sooner” and “how CUUYTEE”. I am a die heart scrapbooker, so ribbon is something I totally love. 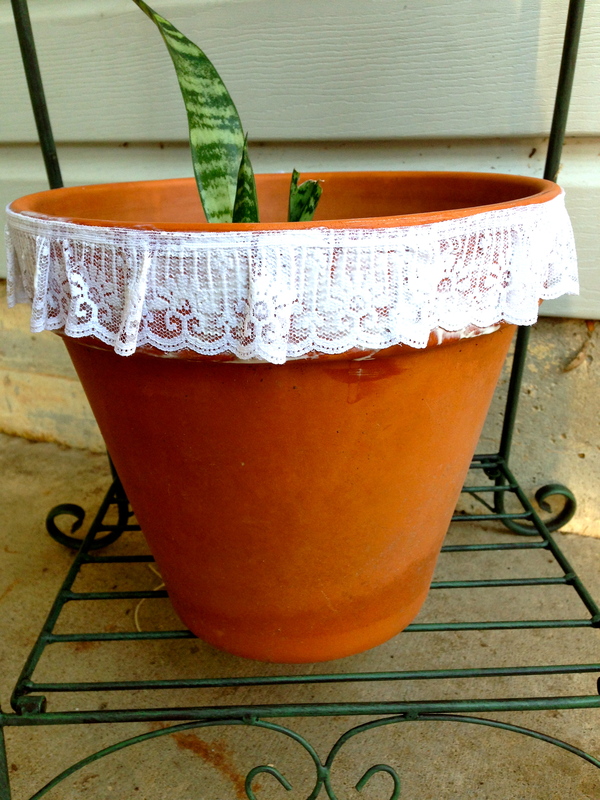 Plus, I am an old lady so I love ribbon and lace attached to anything. 1. 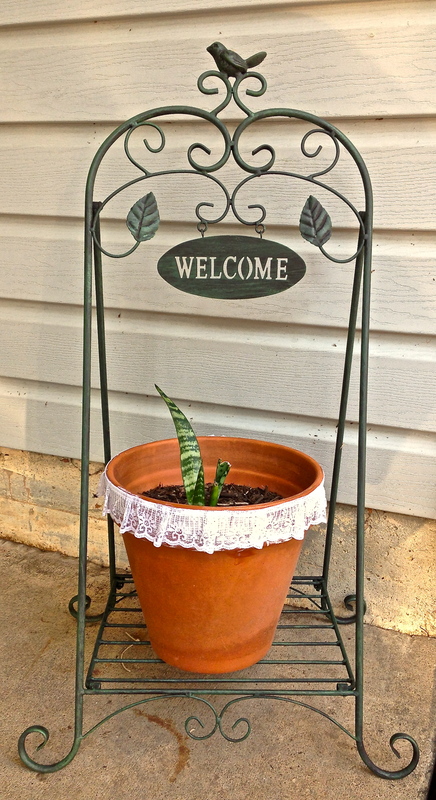 Get pot and ribbon and glue (or Mod Podge) and scissors. 2. With a paint brush, paint the areas in which you want the ribbon to be. 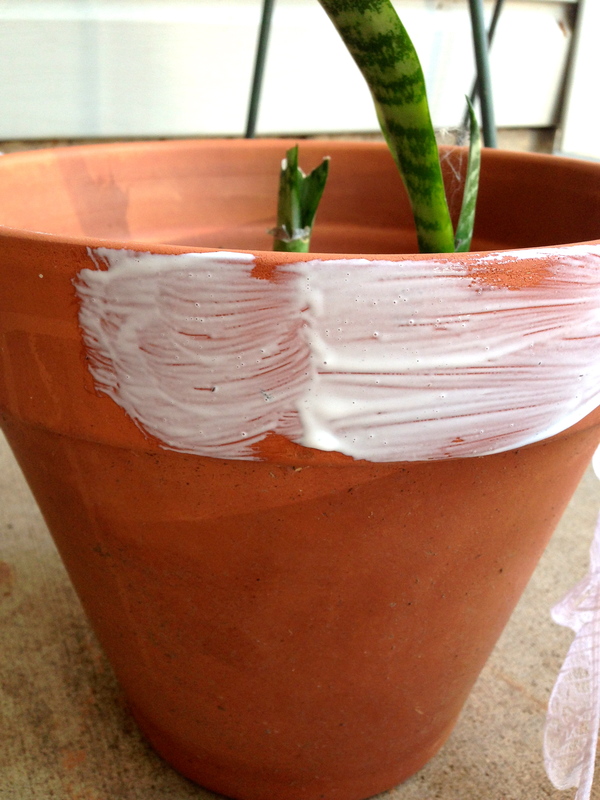 I’ve seen people use regular Elmer’s glue, and it works just fine. I used Mod Podge’s Matte, which is a glue, sealer, and finish. 3. Apply ribbon to glue. 4. (Optional, but recommended) After sticking the ribbon to glue, apply another layer of glue over the ribbon. This helps it to stick better and prevents it from coming up at the edges. And now you have yourself some cute pots!